This comment is made in the fictional film “Blood Diamonds” by a white Zimbabwean to an American journalist, insinuating that she’s trying to change the world without getting her hands dirty. But technology and communication do have the power to transform the outcome, and some new malaria apps for your smartphone could help change the world — both for travellers and for locals. LifeLens – a smartphone app that can detect malaria in blood samples via a high resolution imaging sensor and micro ball lens attachment. Though not currently available to the wider public, this app has recently won Microsoft’s “Imagine Cup” grant, and is promising to create an affordable and effective method of diagnosing malaria, especially in children. Malaria Signal – this app outlines general information on malaria, lists country-specific risk levels for malaria around the world, describes typical malaria symptoms, and provides information on malaria prevention (free, currently only available on iPhone, no reviews). Malaria News – the World Health Organization has a Disease Outbreak News RSS feed that can keep you informed of malaria and other disease news. Sonic mosquito repellers – there are several apps that send out a unique high frequency sound to repell mosquitos, available for all platforms and devices. The most downloaded is Anti Mosquito, (free, available for iPhone, Android, Nokia, and many others, but reviewers are split on whether it’s legit). If you opt to leave your smartphone or tablet at home, Africa and other malaria-affected areas are great places to travel with your mobile or cell phone. Local SIM cards are very affordable across developing countries, and having a local phone number is a great way to stay in touch with locals while on your journey. Malaria-infected areas. First thing to do is to check if the area you’re going to is affected by malaria. There are websites to help with this, such as the malaria map. Don’t get bit. 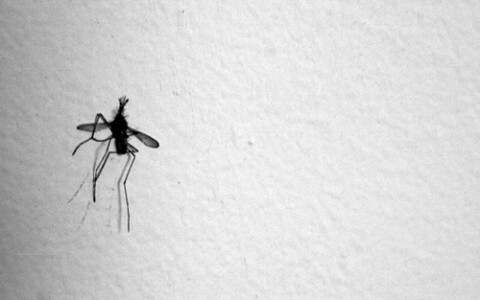 The best way to prevent malaria is by not getting bitten by a mosquito. Whether or not you are taking anti-malarial pills, it is essential to cover your skin in the evenings, wear insect repellent, and sleep with an effective mosquito net. You can’t get malaria if you’re not bitten by mosquitos. I carry a small bottle of insect repellent with me at all times when I travel in malaria-affected areas. Malaria takes 7 days to incubate. Once the virus has entered your system, it can take around 7 days to incubate before any signs of illness are revealed. Even after returning from a trip without any symptoms, you must monitor your health and continue to take your anti-malarial pills for up to 7 days. Anti-malarial pills must be taken in frequency. When you are infected via a mosquito bite, the virus incubates for 3-9 days until it develops into malaria. Anti-malarial medications make your blood in-hospitable to the incubating virus, preventing full malaria from taking effect. What this means is that you must diligently follow the dosage and timing of your medication, even once you have returned from a trip. When I had malaria, the symptoms began exactly 7 days after I had missed a single daily pill, although I had been taking my medication consistently every day for 5 months. Know the symptoms of malaria. Fever, vomiting, severe weakness, disorientation. While malaria has many of the same symptoms as Yellow Fever and other tropical viruses, one thing in particular is that malaria occurs mostly in the evening. Most people suffering from malaria feel fine during the day, and then become progressively ill after the sun sets. When I had malaria, I felt perfectly fine all day, until around 10PM when I felt a slight stiffness in my neck as if I was coming down with the flu, by 11PM I had a raging fever, and by midnight I was delirious and falling in and out of consciousness. Side effects of anti-malarial medications. It is important to research the variety of anti-malarial pills available in your country. When I moved to West Africa, there were only 3 types of anti-malarial pills available in my home country, one of which was very expensive and had only been tested up to 1 year of use, another was an anti-biotic which would result in an increased resistance to anti-biotics from prolonged use as well as having an ingredient which makes users more susceptible to the sun, and the third had a terrifying reputation for giving users nightmares. I took the most expensive ones and only suffered from wild dreams for a week, and then slept calmly the rest of the year. Side effects of malaria treatments. If you happen to be infected by malaria, it is important to seek treatment immediately. Some medications used to treat malaria can make people feel worse than the malaria itself, so it’s best to ask trusted friends or to discuss with your doctor any side effects of the treatment medication. Malaria is a serious virus that can kill you when un-treated. Travel with people you trust, take care of each other, ask for recommendations on medications, and get treated immediately if you are showing signs of the virus. This entry was posted in Blog and tagged Health on November 29, 2011 by Lia.